Finding outdoor space in our urban landscape can be challenging. 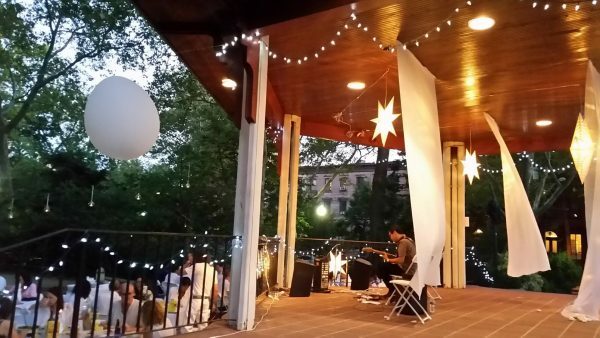 Luckily, Jersey City is home to some of the best public parks. From Liberty State Park to Riverview-Fisk Park, Newport Green Park to Lincoln Park, there is green space to be found near your neighborhood. Most parks are close to public transportation or have parking nearby. 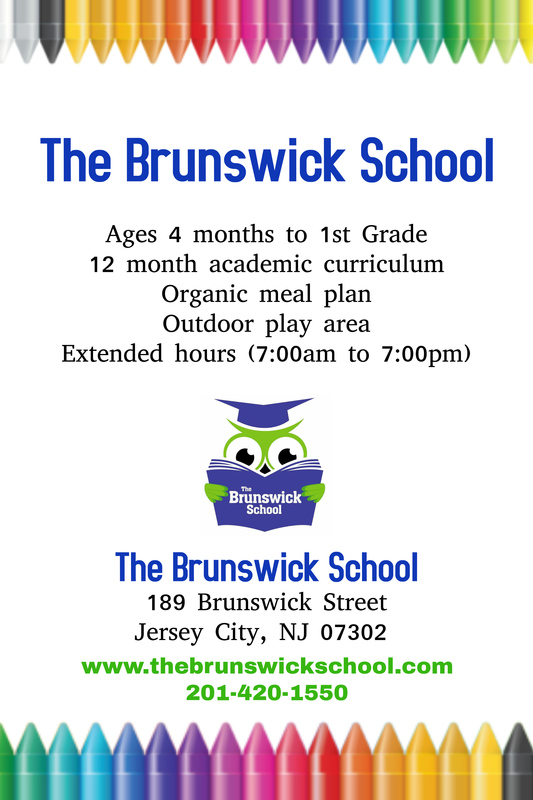 These are great spaces to host a birthday picnic, go for a jog, toss a frisbee or join a pick-up soccer match. Often, you’ll come across live music being performed by local musicians, or a weekend farmers market. 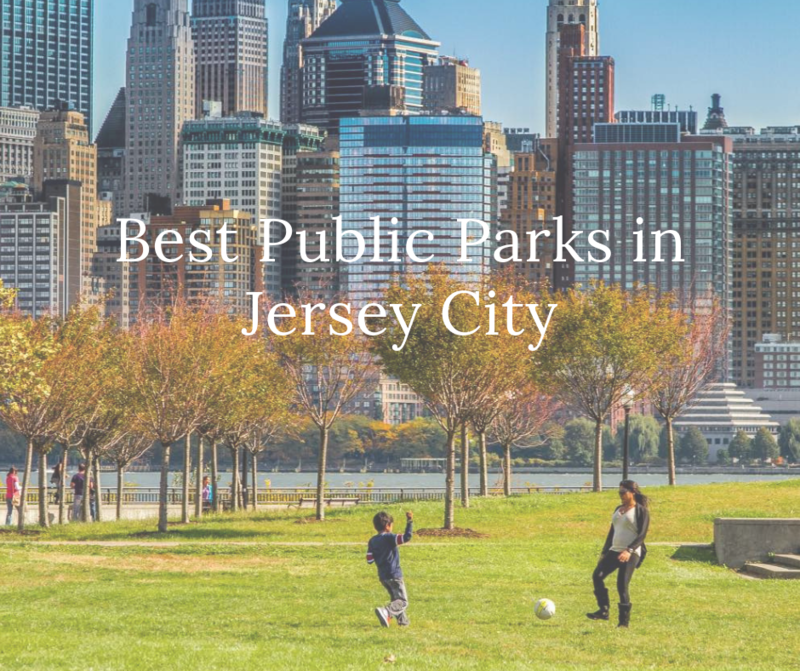 Make plans now to spend some time in your local JC park and if you decide to explore parks in Hoboken, it’s not that far after all. 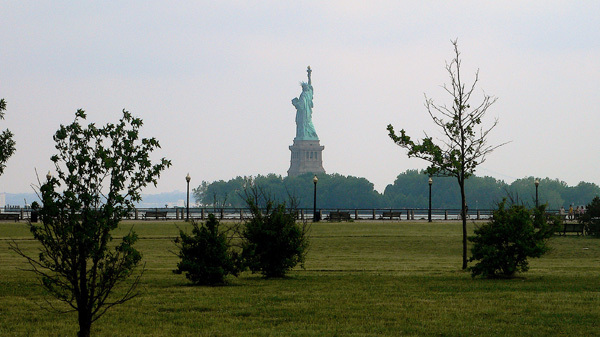 Liberty State Park is a national treasure combining open park space with a historic train station, access to the Statue of Liberty and Ellis Island. It offers incredible views of the Statue of Liberty, unobstructed views of Manhattan and the Hudson River. There are parks for children, runners and anyone who needs an escape from city life and a healthy dose of fresh air. The park was formally opened on Flag Day, June 14, 1976, as New Jersey’s bicentennial gift to the nation. Most of this 1,122 acre park is open space with approximately 300 acres developed for public recreation. 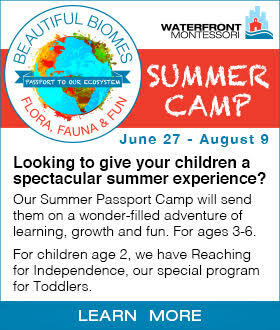 The park is less than 2,000 feet right on the New York Harbor. During the 19th and early 20th centuries the area that is now Liberty State Park was a major waterfront industrial area with an extensive freight and passenger transportation network. This network became the lifeline of New York City and the harbor area. The heart of this transportation network was the Central Railroad of New Jersey Terminal (CRRNJ), located in the northern portion of the park. The CRRNJ Terminal stands with the Statue of Liberty and Ellis Island to unfold one of this nation’s most dramatic stories: the immigration of northern, southern, and eastern Europeans into the United States. After being greeted by the Statue of Liberty and processed at Ellis Island, these immigrants purchased tickets and boarded trains, at the CRRNJ Terminal, that took them to their new homes throughout the United States. The Terminal served these immigrants as the gateway to the realization of their hopes and dreams of a new life in America. Hamilton Park is a gorgeous historic little park situated between Eight Street and Ninth Street in Jersey City. It is surrounded by nineteenth century brownstones. It has lots of trees, ample space, green lawns, and two dog runs. There are also tennis courts, basketball court and two playgrounds for children of different ages. Several events take place at this park throughout the year such as Shakespeare in the Park, a weekly farmers market every Wednesday, and Films in the Park. Van Vorst Park is located in historic downtown Jersey City at the intersection of Montgomery Street and Jersey Avenue. The name Van Vorst comes from a prominent family in the area, the first of which arrived in the 1630s. It was donated by Cornelius Van Vorst who was the twelfth Mayor of Jersey City serving from 1860 to 1862. The neighborhood contains nineteenth century rowhouses and brownstones. It is home to the Jersey City Medical Center, James J. Ferris High School, Barrow Mansion and Jersey City Museum. The park has separate playgrounds for toddlers and older children, two dog runs, benches, a gazebo, fountain and community gardens. Cultural events which take place in this park are farmers market, Shakespeare in the Park, flea markets and Films in Van Vorst. along with water, with lots of beach chairs and great views of Manhattan. For hotter days, there is a sprinkler park. 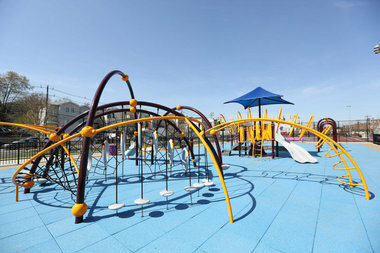 For everyday fun, there is a toddler park and a field for the kids to run around in or to play a pick-up game of soccer. And Newport Green Park is located across the street from Target if you need to run some errands after your trip to the park! Berry Lane Park located in the Bergen-Lafayette section of Jersey City. It is the both the city’s largest municipal park and the first new one in decades. The public park is the site of a former brownfield property bound by Garfield Avenue to the west, NJ Transit’s rail tracks to the south, and Woodward Street to the east. It features two basketball courts, two tennis courts, a baseball diamond, a soccer field, bike paths, and two plazas (one with a splash pad). Over 600 new trees have also been planted. The Department of Recreation is in charge of hosting community events and games in the park. The site once consisted of abandoned and underutilized industrial properties, although the city demolished many of the structures, then remediated and graded the land by 2014. Multiple concrete silos were preserved and utilized for the splash pond. 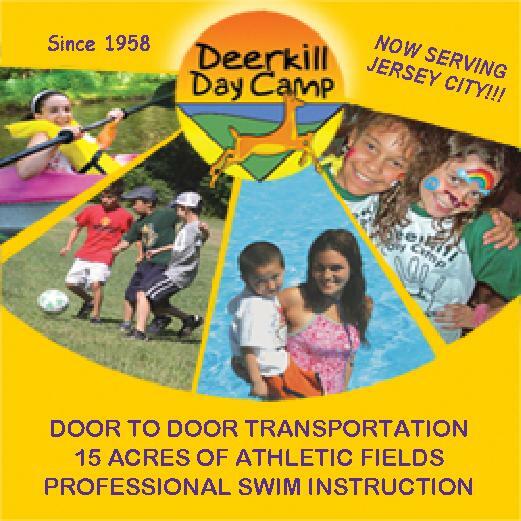 Berry Lane Park is right across the street from NJ Transit’s Garfield Avenue Hudson-Bergen Light Rail station. Paulus Hook is a community on the Hudson River waterfront in Jersey City. It is located one mile across the river from Manhattan. The name Hook comes from the Dutch word “hoeck” which translates into “point of land.” This “point of land” has been described as an elevated area, the location of which is today bounded by Montgomery, Hudson, Dudley and Van Vorst Streets. The neighborhood’s main street is the north- and south-running Washington Street. The waterfront of Paulus Hook is along the basin of the Morris Canal in a park with a segment of Liberty State Park. This park offers a beautiful view of the NY Skyline, it’s s nice walk up and around the peninsula and also pet friendly. The Dr. Leonard J. Gordon Park at Jersey City Heights is best known for the sculptures of Buffalo and Bears that are seen when passing on Kennedy Boulevard. 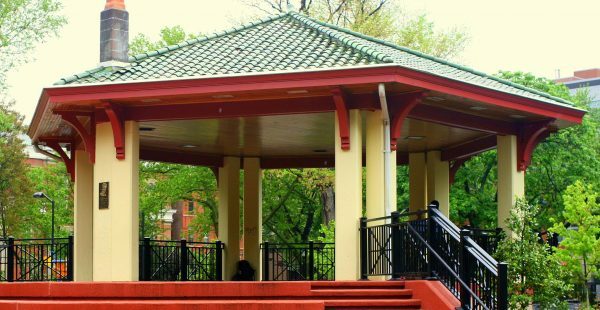 Situated on nearly six acres of hilly terrain on the western slope of the Palisades between Kennedy Boulevard and Liberty Avenue in the Jersey City Heights, Leonard J. Gordon Park is nearly six acres. The larger-than-life stone statues of the buffalo and bear were the work of sculptor Solon Hannibal Borglum (1868-1922). An iron fence that is anchored in concrete piers surrounds the urban park. In the center is a circular gazebo. On November 9, 1930, the Hudson City Soldiers and Sailors Welfare League, Inc. placed a World War I memorial statue Dough Boy in the park. There is also an American eagle atop a granite shaft that was placed there by the Raymond Sipnick Post of the Jewish War Veterans. Dr. Gordon was a native New Yorker and moved to Jersey City in 1875 after obtaining his medical degree from Bellevue Medical Center. He completed his internship at the Jersey City Charity Hospital that predated the Medical Center. One of Dr. Gordon’s crowning achievement was his push for and founding of the Free Public Library of Jersey City in 1894. Dr. Gordon served as supervisor of the Library until his death in 1907 at his home at 485 Jersey Avenue, which still stands today. He is also responsible for the Soldiers and Sailors Victory Monument located on Grove Street in front of City Hall. 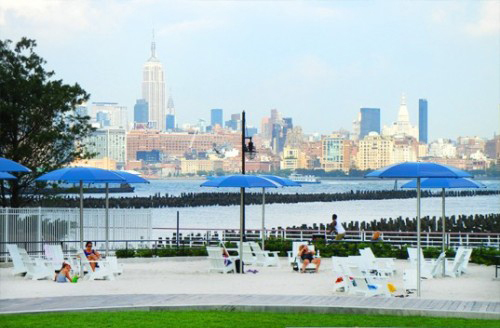 This Hudson River waterfront park at Exchange Place was named in honor J. Owen Grundy.Owen Grundy (1912–1985) was a native of Jersey City and was until his death. Grundy wrote The History of Jersey City, published in honor of the 1976 American Bicentennial and about 50 monographs on historic subjects related to Jersey City. He was among the founders of the Brownstone Revival Committee in Jersey City and the Preservation and Restoration Association of Jersey City and had served five terms as president of the Jersey City Museum Association. 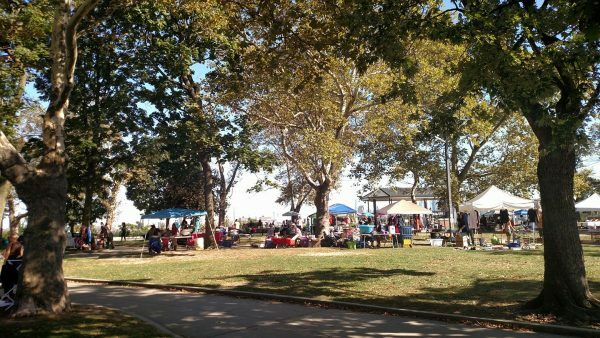 One of Jersey City’s most popular neighborhood parks, Dr. Lena Edwards Park on Johnston Avenue and Pine Street is named for a prominent physician and long-time Jersey City resident who was a Presidential Medal of Freedom recipient. Lena Francis Edwards was born in Washington, D.C. in 1900 to a prosperous African American family. She graduated from Howard University Medical School in 1924. Dr. Edwards was one of the first African American women to be board-certified as an obstetrician-gynecologist and gain admission to the International College of Surgeons. When she and her husband, Dr. Keith Madison, moved to Jersey City in 1924, she set up practice on Pacific Avenue in the neighborhood of Lafayette. While raising six children of her own, she dedicated her life to treating the poor and immigrant Eastern European factory workers who lived in the area. Though she was made a staff physician at Margaret Hague Maternity Hospital when it first opened in 1931, she fought to obtain residency there in obstetrics and gynecology for nearly 15 years. This small neighborhood park features a lighted basketball court, a children’s playground, and outdoor seasonal basketball leagues. Lincoln Park is an urban park in Jersey City with an area of 273.4 acres. It originally opened in 1905, it was originally known as West Side Park. The park consists of two distinct sections: Lincoln Park East, and Lincoln Park West. The sections are named for their positions relative to US Route 1/9, which passes between them, and are connected by foot and vehicular bridges over the highway. Lincoln Park was the first park in the Hudson County parks system.Lincoln Park East contains many sports fields and recreational facilities. 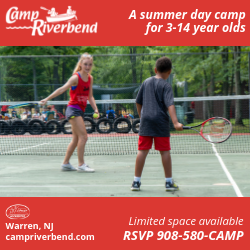 There are 21 outdoor tennis courts, seven baseball fields, a cricket pitch, three children’s playgrounds, a running track, five basketball courts, two football fields, two soccer fields, and four handball/paddleball courts. This section of the park also contains a 3 acres lake available for fishing. The park has four gazebos, several maintenance buildings, and the Park Administration Building. The park also contains several monuments and memorials. 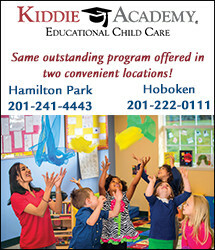 Riverview is located on Palisade Avenue. The park contains magnificent views of both the New York City Skyline and the Hudson River as well as the Verrazano Bridge and the George Washington Bridge. These views can be enjoyed while relaxing in the park gazebo. The Park also has a host of recreational activities such as two basketball courts and a playground for children. Due to the amazing views, Fourth of July has become a major day for the park. On this holiday thousands of people gather to watch the displays of fireworks across the New York skyline. 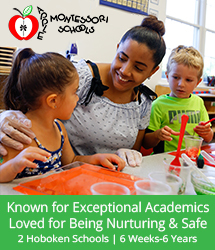 This has become a tradition for lots of families and brings many newcomers each year.